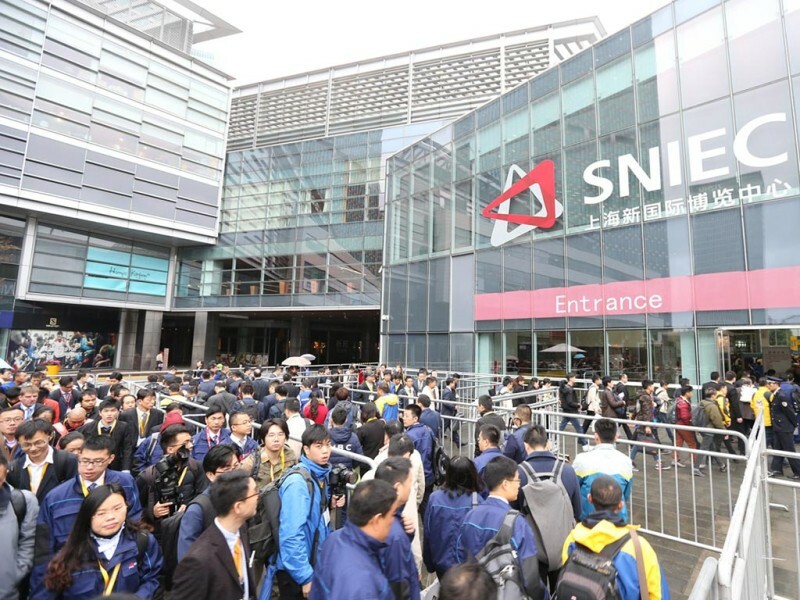 Visitors in front of SNIEC. 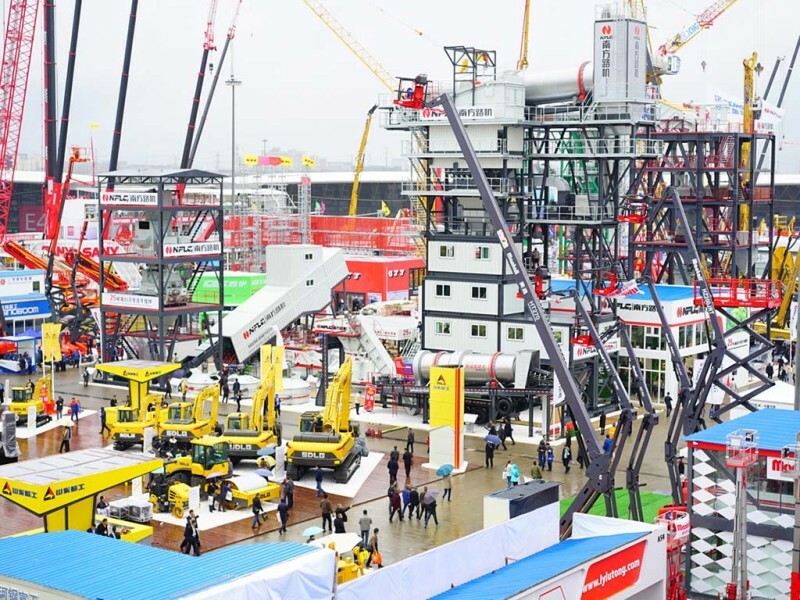 bauma China's outdoor exhibition area 2016. 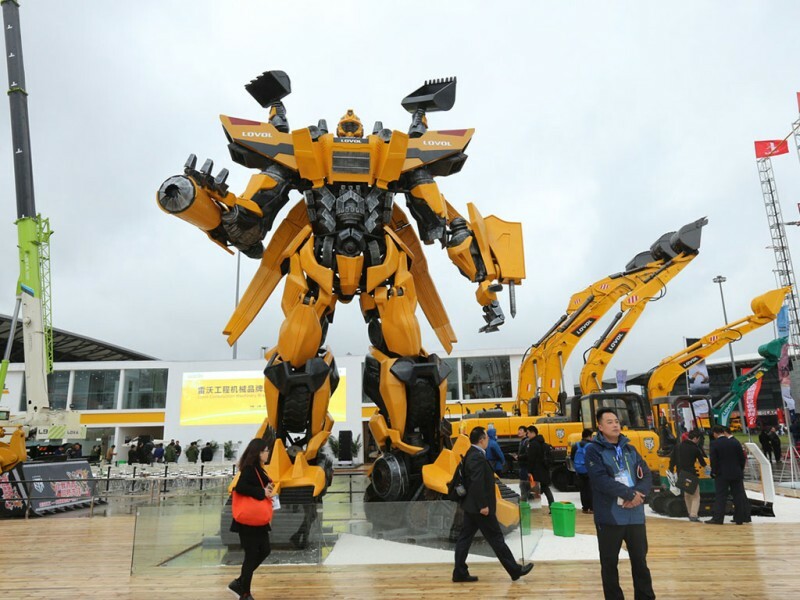 A highlight at bauma China's outdoor exhibition area: The life-size Transformer robot by LOVOL.